A few years ago, applications for LED lighting were nothing more than Christmas lights and laser beams. However, the technology has rapidly developed to be one of the leading and prominent lighting solutions today. LED technology is tailored to last longer, offer better quality luminescence and more importantly, to save up to 60% energy as compared to traditional lighting solutions. From flashlights to cars, a vast range of products are adopting LED technology. Being highly versatile, light emitting diodes have also found some innovative and interesting applications, which wouldn’t have been possible without the technology. Indoor workplaces can get monotonous and boring. There is no alternative to having a family lunch under the blue sky or having your work desk set up under the shadows of clouds! 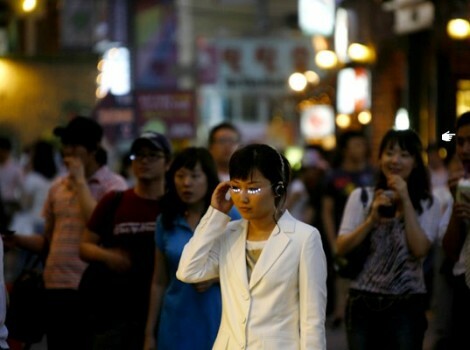 Well, the theory also has the disadvantage of harsh sunlight, dust particles being blown into your face and the rains. 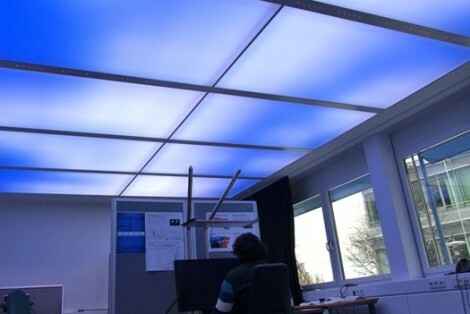 Interestingly, LED technology invented by researchers at Fraunhofer Institute for Industrial Engineering IAO can replace your traditional home/office ceiling and mimic the pleasant mood of living under the clear blue sky with passing clouds. This doesn’t just make living/working more pleasant but can improve productivity by more than 15%. Driving under the scorching sun can get frustrating, regardless of the quality of your vehicle’s air conditioning. Well, what if the sun rays can be given a better job? LED Car Sunroofs are powered by solar energy and allow the occupants to choose among a variety of interior lighting modes. With a flip of a switch, you can move from a clear sunroof (ideal for winter drives) to opaque and cool alternatives. You can even choose the degree of light entering the vehicle. Normal contact lenses might let you see clearly but these bionic alternatives powered by LED technology can let you read your emails right in your retina! 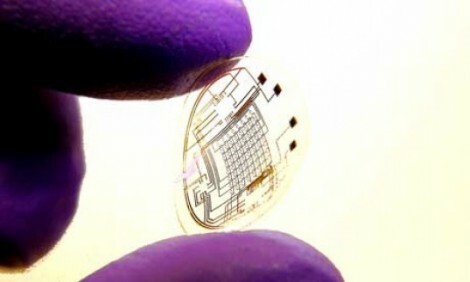 Currently under development by the Aalto University, Finland, the bionic contact lens works by transmitting information to a transparent chip attached to the lens to transfer their computer screen right onto their retinas. You don’t need to break eye contact in a boring meeting to check your emails! Bikers love to decorate their drive with lights that flash up in the night and try to present something sci-fi. But using the rice bulbs don’t seem to fit the modern trends. 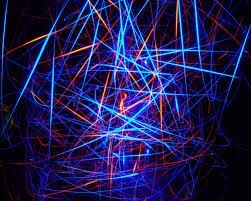 Well, lights strips powered by LED can be handy and exciting alternatives. They can be attached to both motorcycles and cars to showcase a unique ride. 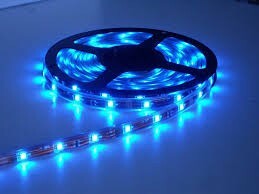 Further, these light strips are completely waterproof5. A digital alternative to painting your walls, the LED wallpapers can be programmed to present changing shades on your home walls. At one moment you see yourself in your bed in the ocean bed and in another, your couch would have been placed right in the middle of the Amazon! LEDs are perfect for digital decorations. 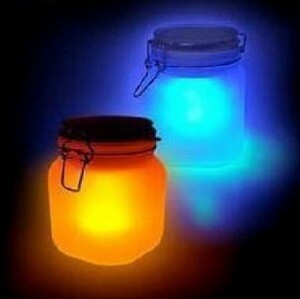 Products like Sunshine in a Bottle can be a unique installation in your home. During the day, the bottle can be placed in the sun to conserve sunlight and light up at night. Looking to make an impression in the dance floor tonight? The LED Eyelashes will glow in the dark and can even be turned off and on with a slight tilt of your head. Weird but interesting! Written by Ryan Clark of the Auto LED Shop, a supplier of LED lights and replacement kits.